fully heated rooms kept at a toasty 18-19 degrees throughout the winter months, day and night! 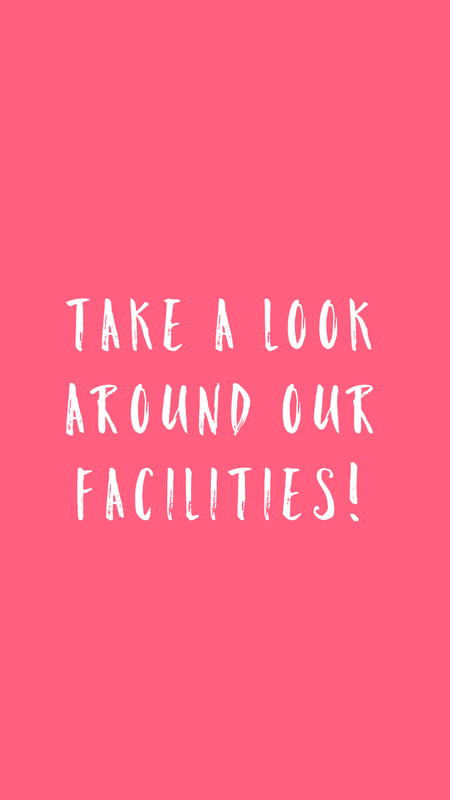 For a tour of our facilities please scroll down to the bottom of the page where you will find a video tour. We have 20 spacious rooms and are licensed to look after 30 dogs. Each room is big enough for dogs from the same family to share (depending on size), they are decorated to make them feel nice and homely with a wall mural and are covered in a hygienic surface to maintain cleanliness and prevent the risk of infectious diseases. Rooms are fully heated in the winter 24/7 and remain nice and cool in the summer. Rooms have an attached covered outside run and your dog will always have access to their outside area during the day no matter what the weather. We encourage you to not think of kennels as “cages”. They are secure areas that ensure your dog’s safety and we make them as homely and comfortable as possible. Your dog therefore has privacy and security which in turn helps them settle into their own space, they can’t get hold of anything they shouldn’t and can’t hurt themselves. They are in the safest environment they can be so you can enjoy your time away with peace of mind! You can rest assured that all dogs are exercised a minimum of four times throughout the day in our doggy playground or around our field track. We also mix sociable dogs and exercise them in groups so our guests make lots of friends and have a fantastic time! We let them out first thing in the morning and last thing in the evening for toilet breaks to relieve themselves so they never have to hold on for too long. Our promise to you is that your dog will never be left alone with no contact or exercise and we always make sure all dogs are suitably tired by the time it comes to bed! We know how important it is to make sure your dog has sufficient exercise for their wellbeing and mental state and we want to make sure your dog leaves Haleswood just as happy as when they arrived, with a waggy tail! We also have a Fit Fur Life Treadmill which is specific for dogs who need that extra bit of exercise and if you feel your dog needs more exercise than what we already offer you can add this onto your package. The treadmill is suitable for dogs of all sizes and can be as easy or as intense as you require. We are happy to feed your dog any diet you require. Our own dogs are on a raw diet so we are familiar with this and other natural diets. We do suggest that you bring in your dogs own food to ensure that they don't get any tummy upsets as changing a dogs diet suddenly along with the change of environment can sometimes make your dog poorly and they might even be put off eating. However we do stock some basic food such as Harringtons, Wagg, Butchers and Winalot that can replace your dogs normal diet if you wish. We can feed your dog as many times as you require so that it matches their normal routine at home. We also give all of our guests bedtime biscuits when we do our last checks in the evening which they all look forward to and it gives them that extra bit of comfort. We can cater for dogs that require medication or have special needs. Please contact us to discuss any special requirements your dog may have and we can assist wherever possible. We insist that all dogs are fully vaccinated against Parvovirus, Hepatitis, Leptospirosis and Distemper which should all be covered in their annual booster. We do also request all dogs are vaccinated against kennel cough. Dogs should have this vaccine at least 10 days prior to their stay as it is a live virus and unfortunately we cannot allow any dogs to stay with us until at least 10-14 days have passed. We have to see proof of vaccination to accept your dog for boarding. All details will be added to our system to your dogs file for future reference. We encourage you to bring your own bedding and any toys that your dog likes to play with. It's important they have something from home that is familiar to help them settle and feel comfortable throughout their stay but of course there is plenty of comfy bedding and lots of toys at Haleswood if you didn't want to bring your own items. We make a note of everything your dog has come in with and all items get tagged or stored in your dog's very own a storage tray to ensure that nothing is misplaced. If your dog has a dog jacket to keep them dry when walking in the rain we suggest you bring it along too for any rainy play sessions! We will of course towel dry your dog and blast them off with a proper doggy drier but if they can stay reasonably dry it will make them more comfortable when they get back to their kennel. Where possible we can offer a local pet taxi service for an additional charge within a 5 mile radius where we can collect your dog and drop them back home for you too if required. This service is subject to availability and during our peak busier periods we may not be able to run the service due to having lots of doggies to exercise! For any further information please get in touch with us and if you want to book your dog's holiday please give us a call or alternatively you can book online, just click on the 'book online' button. Further info on booking online can be found here.